The cormorants moved like poetry in the surf. Sailer yard art, you have to love it. 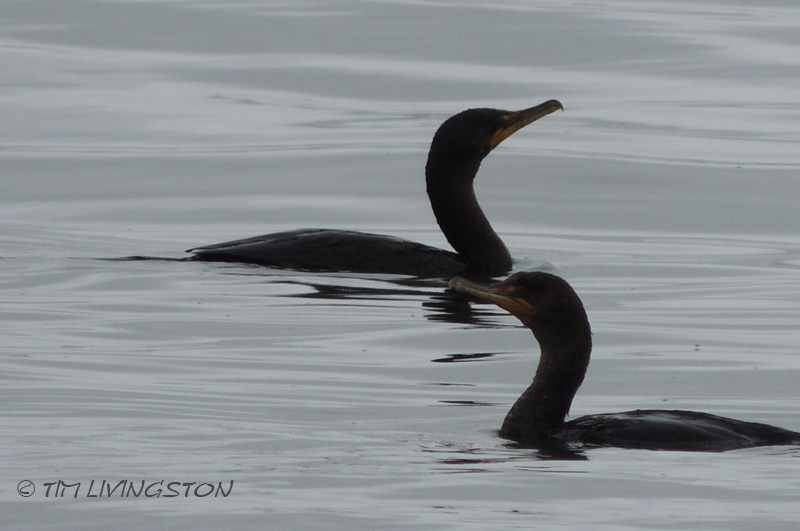 A pair of cormorants in the surf were my inspiration. 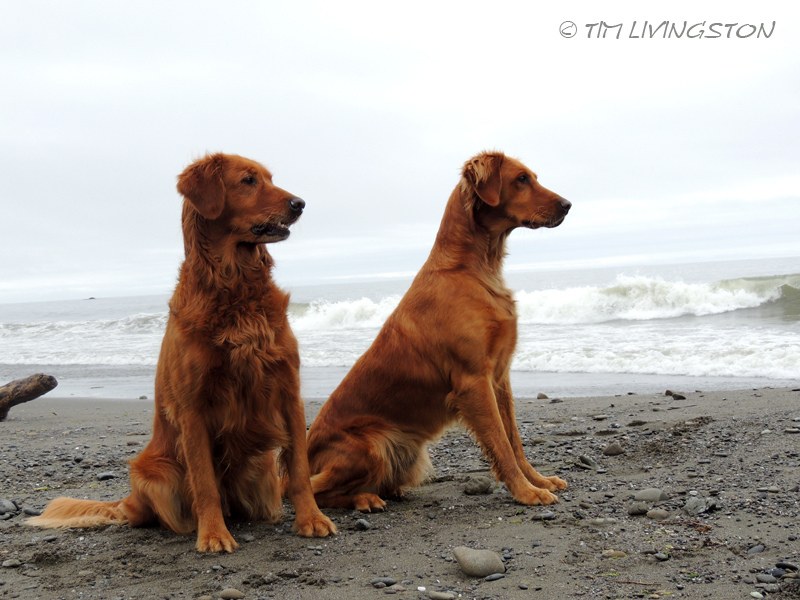 Blitz and Teka on the beach near Brookings, Oregon. 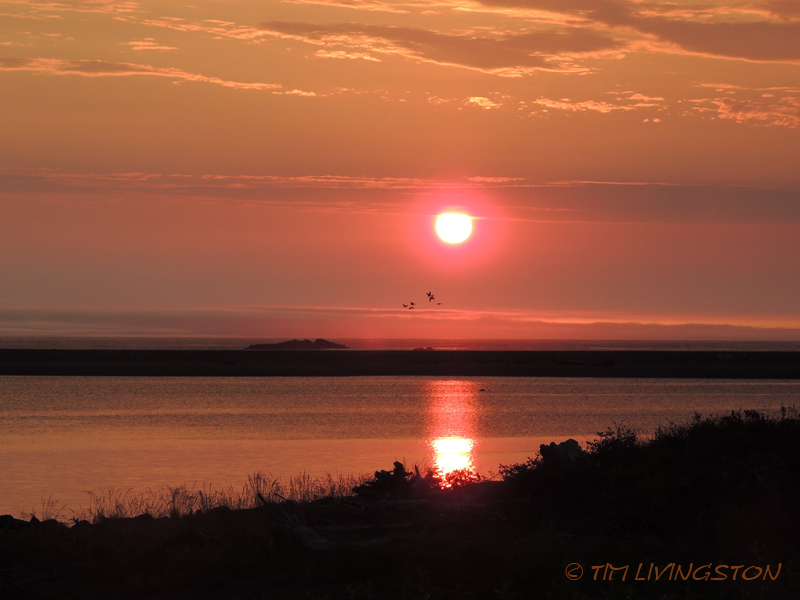 Sunset where the Smith River meets the sea. 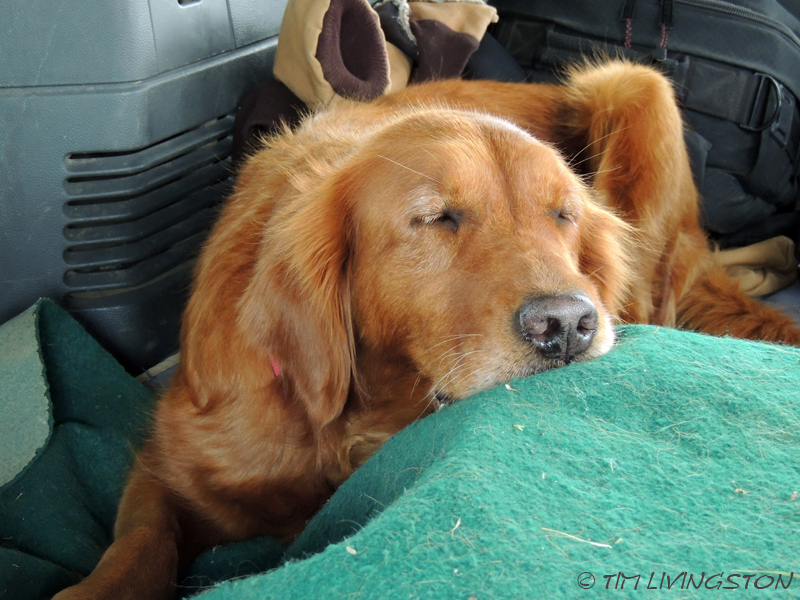 On the road home and Blitz dreams of ducks. This entry was posted in Drawing, Pen and Ink, Traveling Companions, Wildlife and tagged Blitz, cormorants, drawing, golden retriever, nature, pen and ink, photography, sitka spruce, smith river california, spruce cones, Teka, traveling, wildlife by foresterartist. Bookmark the permalink. As always love the photos and art! Wow! Impressive boat! 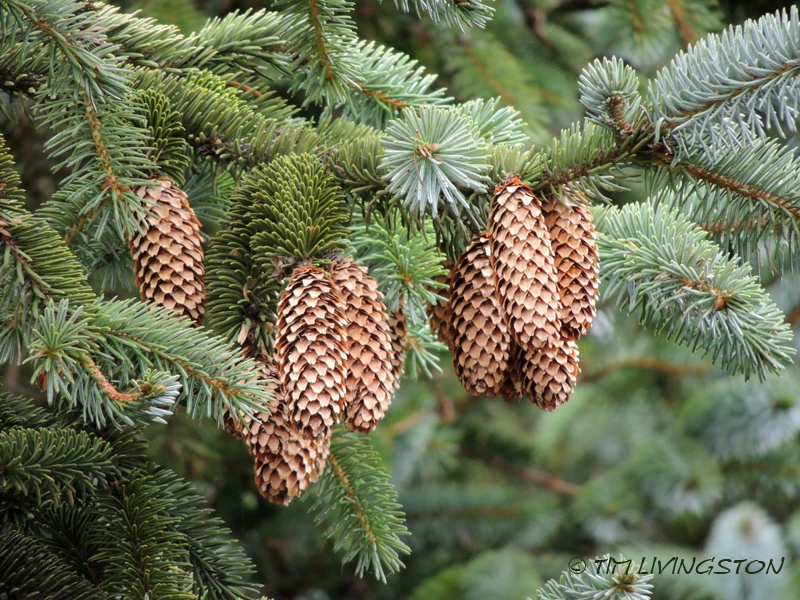 We also see many interesting things adorning campgrounds.. The boat was definitely an attention getter! Can you imagine what an airline pilot would have for yard art! Beautiful photography and art Tim! Best to you and Mary. Love these photos. Love the dogs! Happy weekend. Thanks Paulette, it was a fun weekend and the girls had a great time! Blitz does seem to have the ability to get whatever she wants. Its that sad eyes thing that females of all types possess. Oh you’re so right. I’m giving you sad eyes for Blitz as I type! Please stop….I can’t take it! Found you… good to see you back as always with great arsenal photos and sketching… have a good weekend. Thanks Doron, you have a great weekend too. Thank you Angie! You are quite right about the cormorants. I hope you get to see one some day. Me too, my brother has seen quite a few on Lake Nippising he was just telling me about them. It looks like everyone is having fun, awake and asleep. 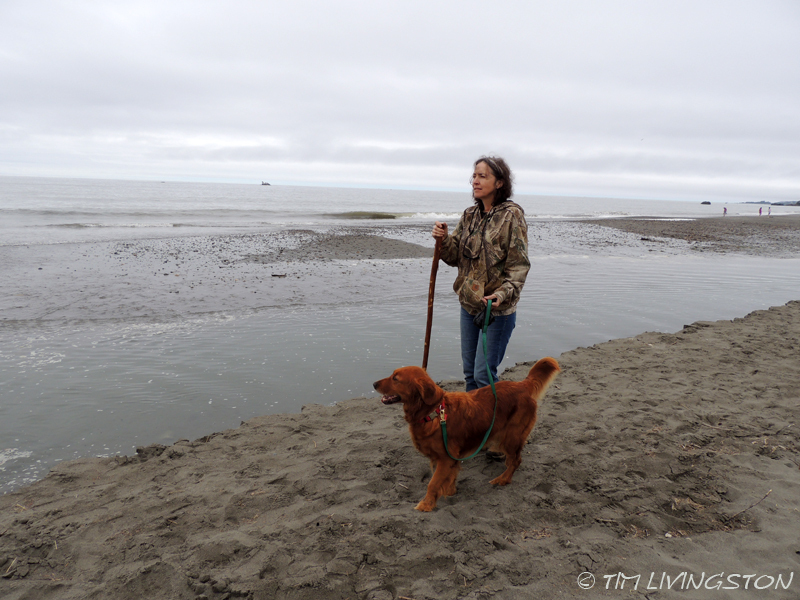 What were the dogs peering so intently at? It’s not everyone that has a lawn ornament that big. Is it really a gift shop? I wonder how they got it there. That’s a real oversize load. A good time was had by all. The girls were staring at a stick that had been thrown. That is our way to get them to look all dignified and in the same direction, instead of goofy, which is their normal state. Best lawn ornament ever I think, and it is a gift shop. Unfortunately, it wasn’t open while we were there so we didn’t get to go inside. I’m not certain how they got it there, but I’m going with tsunami! Glad you’ve ALL been having fun Tim ! Great to be out there travelling .. nice freedom . We have been on the go. Only been home one weekend over the last six weeks. 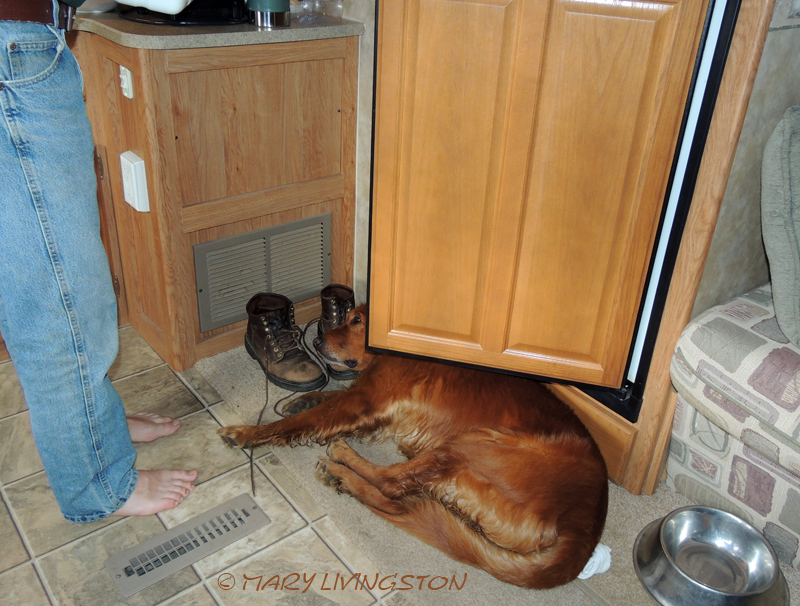 I’m looking forward to bad weather setting in so we will have to stay home! A very enjoyable set:) Great drawing too. Boy! Looks like a fun trip! Thanks for sharing! 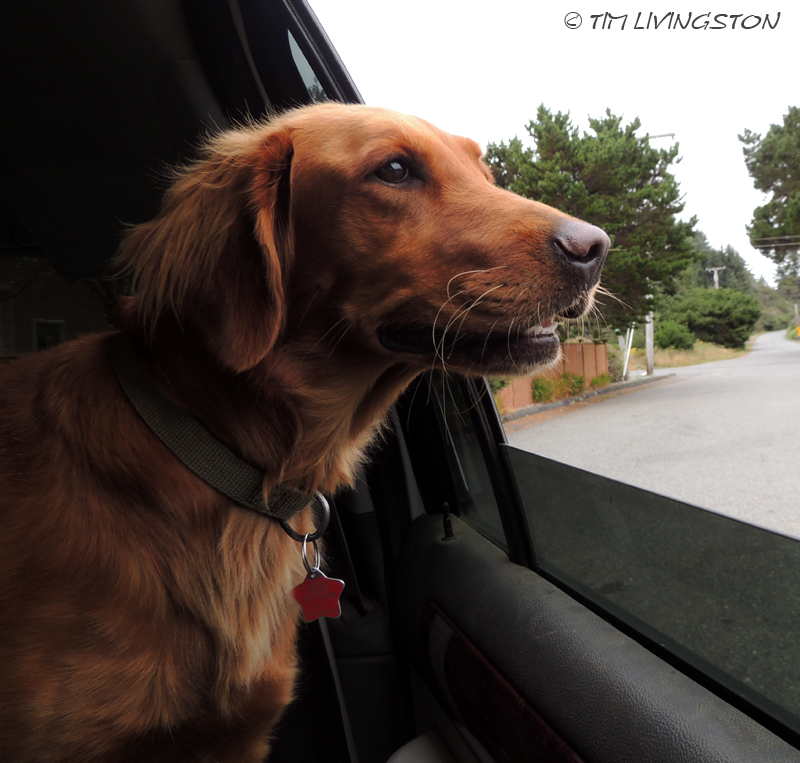 It was great fun for any retriever! Great company for the ride. 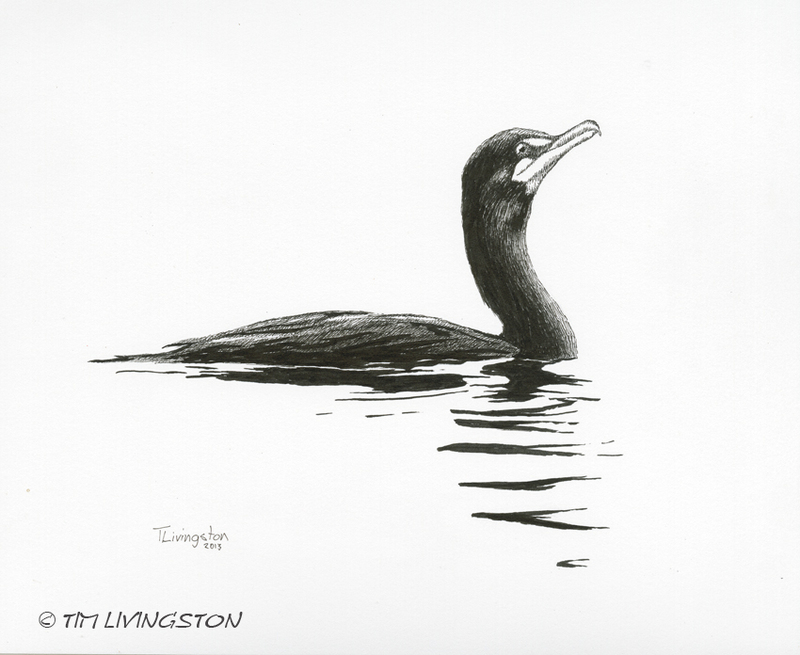 Your cormorant drawing is really wonderful – it completely captures that cormorant look, not only the shape they make in the water, but the fierceness & intensity as they fish, too. Wow, thank you very much! I always hope to capture the moment properly. It doesn’t always happen.